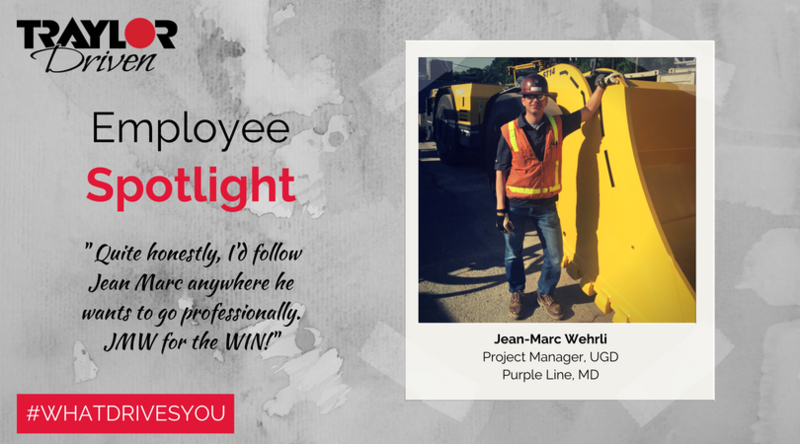 Traylor Driven Employee Spotlight, UGD: Jean-Marc Wehrli - Traylor Bros., Inc.
Jean-Marc Wehrli, a member of our Underground Division, is a Project Manager on the Purple Line project in Bethesda, MD. He has worked in underground construction for more than 20 years, in the U.S. and abroad. 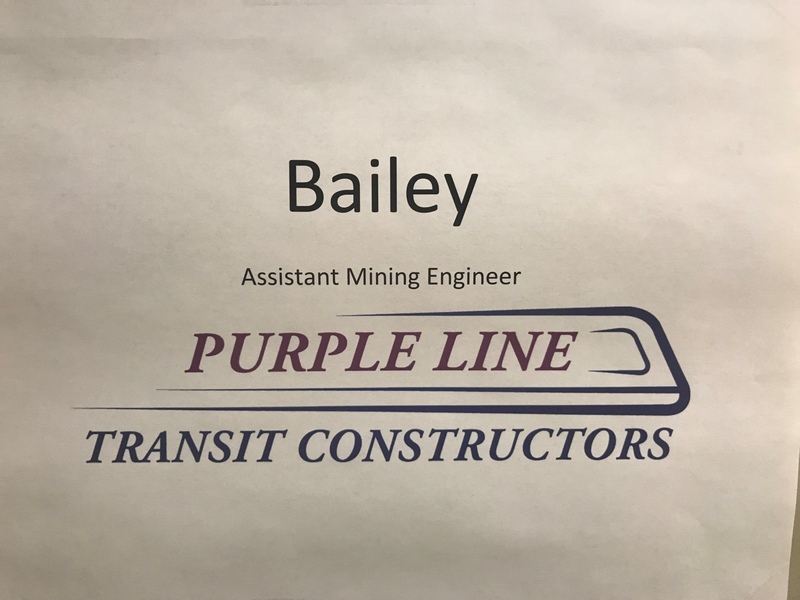 Since joining Traylor in 2006, he has worked on the San Vicente Pipeline in San Diego and the Queens Bored Tunnels in New York, and provided estimating support before joining the Purple Line team. He has an M.Sc. (Master’s) in Civil Engineering from the Federal Institute of Technology in Zurich, Switzerland and is a member of both the Design-Build Institute of America and the Society of Mining Engineers. Jean-Marc was nominated for multiple qualities that embody our unique Traylor Driven culture. 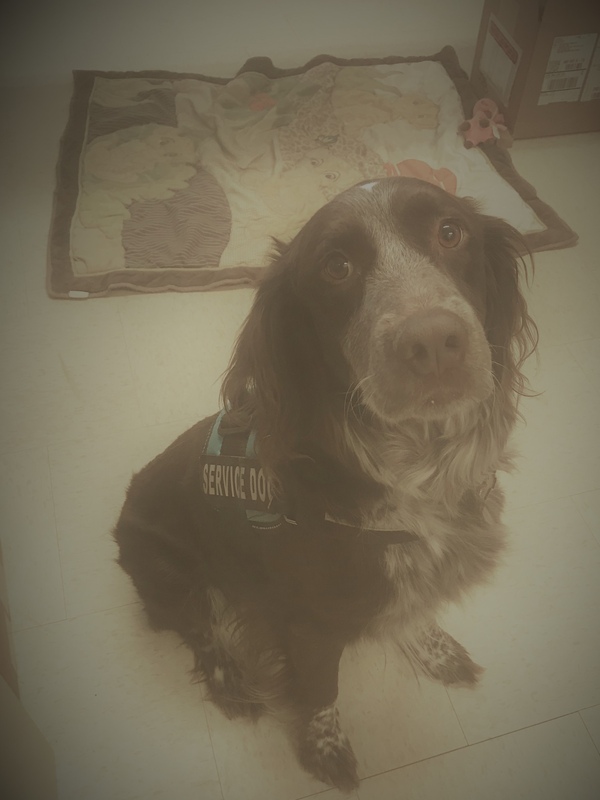 Bailey is a certified member of the PLTP team! TBI: Tell us about one of your most memorable moments at Traylor. Jean-Marc Wehrli (JMW): As a member of the Underground Division, “hole-throughs” on tunneling projects and the parties held after have always been and will be moments I’ll always remember. It’s a great fulfillment to see all the hard work and effort put into a job by all the team members coming to fruition whenever we day-light on the other end. TBI: Where is your favorite place you’ve lived, and why? JMW: So far, I have lived in great places inside and outside the U.S. Each of them had pros and cons. Generally, I prefer living near cities offering plenty of outdoor activities in the surrounding area and a beach nearby. TBI: What do you enjoy doing when you’re not working? JMW: Outdoor activities with my family, wining & dining, and running. TBI: You’ve been nominated by your peers for our Employee Spotlight because you motivate others. What drives you? JMW: With twenty-plus years of experience in underground construction, I’m enjoying passing job-related experience and knowledge down to younger generations and creating a pleasant working environment. It’s crucial for the survival of this industry to nurture new talents and to motivate them to stay in the business. It’s a great satisfaction for me to see young employees thriving at work and enjoying what they are doing. What drives me is essentially to keep the spirit of underground work alive for generations to come.